Bolivians can hold a grudge. 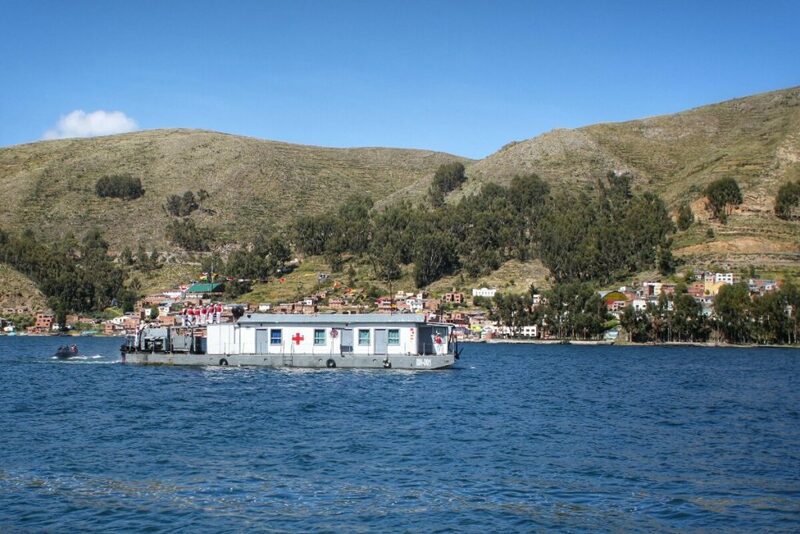 Bolivia is a landlocked country, but this wasn’t always the case. They lost their strip of coastline to Chile after the Pacific War in 1883. That has never really sat right with Bolivia. Despite having tax free access to Chile’s ports, many Bolivians see the lack of sovereign access to the coast as a barrier to economic prosperity. Dia Del Mar (day of the sea) is half national day of mourning and half protest. 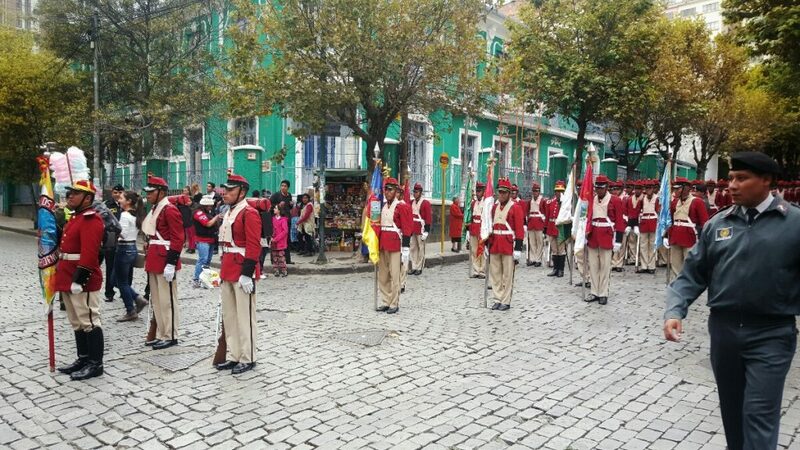 In La Paz all the schools parade through the city in a cacophony of marching bands. The show literally stops traffic as the students March through the streets. In the afternoon the adults get a turn. A full military parade marches down Av. 20 de Octubre, followed by what appears to be the public service. 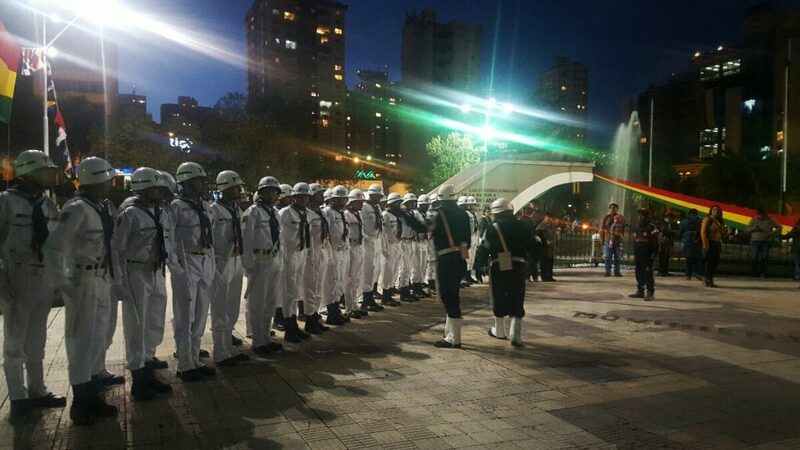 It all culminates with speeches by the president himself, and others, in Plaza Avaroa. All in all, quite the unexpected spectacle. Unfortunately for us the effort continued the next day. We were on a bus from La Paz to Copacabana. At a small town 40 minutes from Copacabana the bus needs to cross the lake. The crossing is supposed to take around 20 minutes, but not Dia Del Mar. 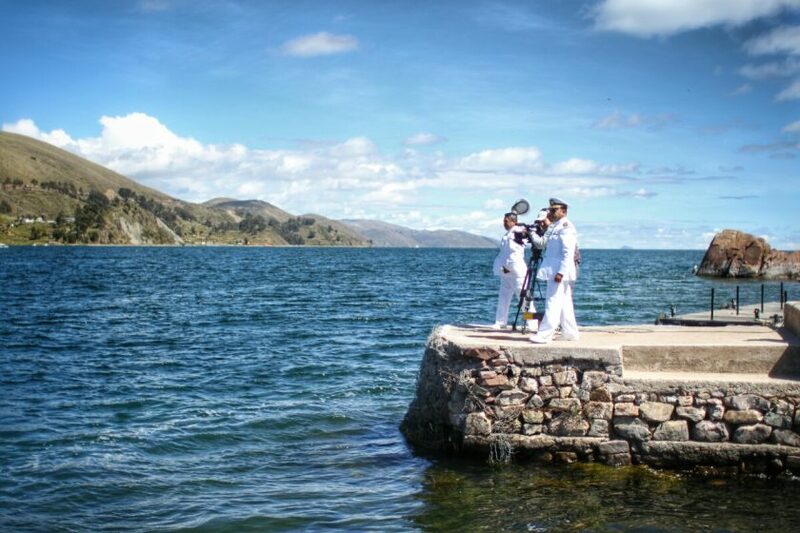 As part of never letting go, Bolivia maintains a navy, exhiled on Lake Titicaca. 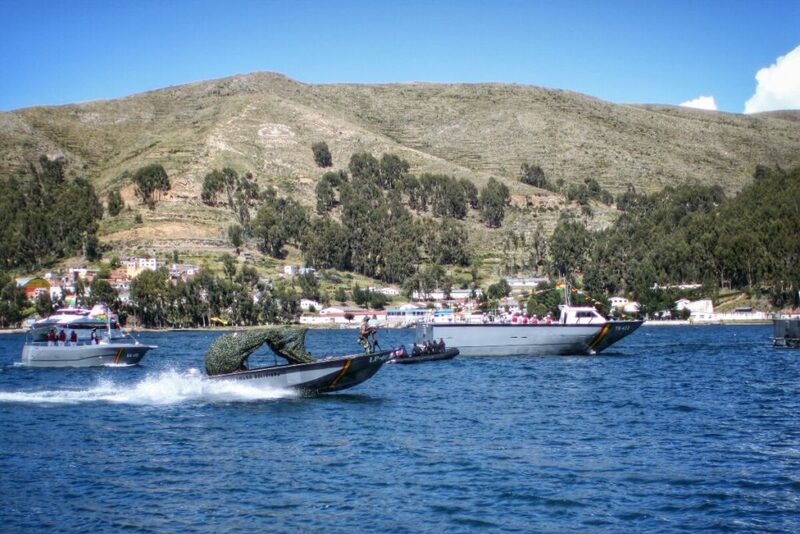 And on Dia Del Mar, the Bolivian navy were having a parade and showing off their boats in the Tiquina straight of Lake Titicaca. Meanwhile, all civilian boats were banned from crossing the straight. One by one more busses arrived, the passengers filled the dock, but the parade and speeches continued. After a few hours, the grand finale was a flotilla of navy and civilian boats, of all shapes and sizes, doing a double pass by of the dock. This would have been fine, but did I mention how bloody slow the 40hp wooden ferries are? So that’s Dia Del Mar, the day Bolivia yells “give us our ocean back!” And who knows, it might actually get somewhere. Bolivia has actually taken Chile to the International Court of Justice. Their steadfast refusal to give in may yet pay off.